F&D manufactures Rosprene elastomers for applications across market segments. TPE/TPV/TPO from 15A – 95A/40D for injection molding, overmolding, extrusion and multi-layer sheet. Tired of high prices and long leadtimes on your custom colored engineering grade resins? Bypass the distributors and see how F&D can save you time and money for orders as small as 500 pounds! F&D is now your source for custom compounds such as glass reinforced nylons, super tough nylons, filled polyurethanes and FR resins across a wide spectrum including non-hal formulas. F&D thanks all of our customers and suppliers as we celebrate 50 years of providing quality and value in the plastics industry. We couldn’t have done it without you! If you’re a rotomolder, look to F&D for high quality colors with patented, long life UV inhibitors, FR polyethylene compounds, and foams. We know rotomolding! F&D stocks outstanding Utility Black master batch (100:1) at exceptional prices from 100 pounds to truckload—try a sample to see how we can cut your costs! Need White FDA master batch? We have excellent 50% and 70% loaded color stocked and ready to ship—at exceptional pricing across all volumes—call today for a quote and sample! Keeping you up to date with the latest information on what’s happening in the plastic industry. What does it take to create a great product? Henry Ford, founder of the Ford Motor Company, lived by the motto, “Coming together is a beginning. Keeping together is progress. Working together is success.” Putting their resources to work for you, F&D Plastics proudly helps you at every step of your journey. From the inception of an idea, to product development, all the way through the first sale and beyond — F&D Plastics Corporation will provide the support you need to succeed, starting with three key services: The Solutions Center, ISO 17025 Accredited Labs and Clean Compounding Centers. F&D Plastics’s Solutions Center is where your ideas come to life. In the Solutions Center you can collaborate with a team of highly skilled and experienced technical managers and innovative scientists as they help you with product development and testing. When working with the Solutions Center you will also work directly with the color matching lab, in which a team can help you pick the perfect resin/color mix. If you don’t know what colors or resins your product needs, no problem. The scientists at the North Carolina campus will assist you with everything you need from branding to development. Brand consistency can be the difference between a successful launch and a complete failure. Because of this, F&D Plastics’s labs put a strong emphasis on the testing, formulations and color matching of your products. This attention to detail is backed by the ISO 17025 accreditation, an independent validation of a lab’s methods, technicians and equipment. It is one of the industry’s most rigorous and demanding accreditations, so much so that most competitors have yet to attempt to receive the ISO’s stamp of approval. But with the ISO 17025 accreditation, you are assured F&D Plastics’s labs are compliant and provide continued technical competence. Product contamination is the ultimate threat in the medical, food, and drug manufacturing industry. In a study conducted by USA Today, ”there has been more than 50 recalls from compounding pharmacies in the past two years, of which 20% involved the most serious recall classification, reserved for “dangerous or defective products that predictably could cause serious health problems or death.” These small oversights have resulted in big consequences. Many consumers have lost their lives and many brand owners were forced to close down their businesses — all of which could have been avoided with the help of a clean compounding center. F&D Plastics’s clean compounding centers (located in North Carolina and California) go through great measures to prevent environmental pollutants from entering the manufacturing area in order to protect the product. Each facility was designed and built to minimize human interaction during production and nearly eliminate all possibilities of contamination. They implement UV filtration systems and the California facility also benefits from air circulation filters that remove particles from the air on a fifteen-minute rotation basis. It is everything you need to keep the integrity of your product intact. Building a successful product or brand starts with building a great team. Discover a partner who is as committed to your success as much as you are. 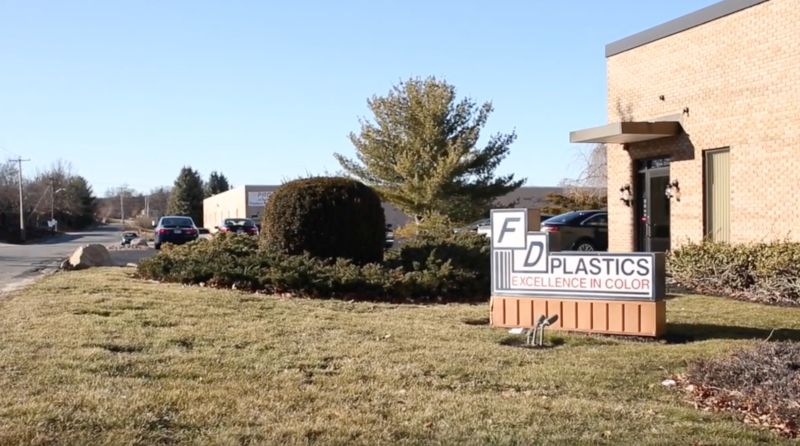 Whether you need one or all of their labs and services, F&D Plastics proudly has all the resources you need to go from new product idea to new sales. To find out what services are the best fit for you, contact F&D Plastics to speak to a knowledgeable sales rep and to start your journey through plastics today. © 2019 Copyright. All Rights Reserved – Trademarks & Brands Are The Property of Their Respective Owners.